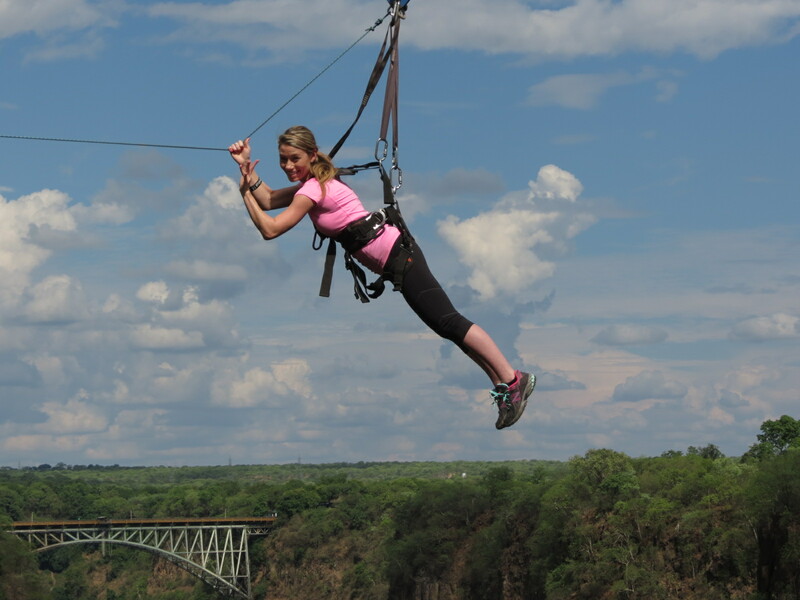 A High-wire Activity is an adrenaline rush and a must do when visiting Victoria Falls. 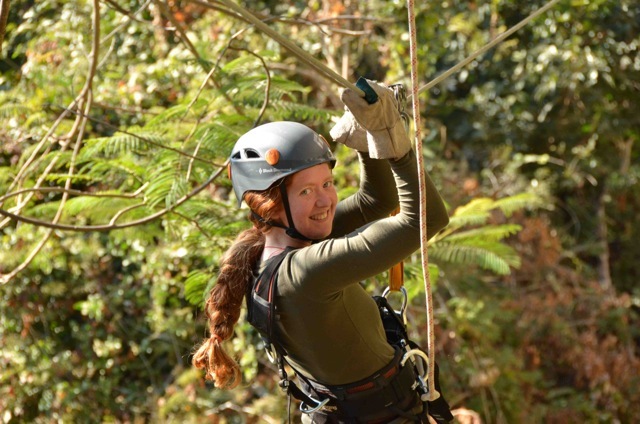 There is a range of activities from the family friendly and exciting Canopy Tour to the extreme gorge swing for those who are more adventurous. Wherever you fall on the adrenaline scale try something new and you won’t regret the memories you make. The Canopy Tour: The gentlest of the high-wire activities. This exciting and scenic activity offers amazing views of the turbulent rapids, the Victoria Falls Bridge and the spray of the Falls. This unique experience is suitable for families or groups who will be able to enjoy the activity together. Adventure seekers of all ages can partake. Observe the riverine forest from a variety of vantage points – from above, below and within the canopy itself. Experience forest bird-life, which can include the Black Eagle, Peregrine Falcon, Knysna and Purple-crested Turaco (Lourie). 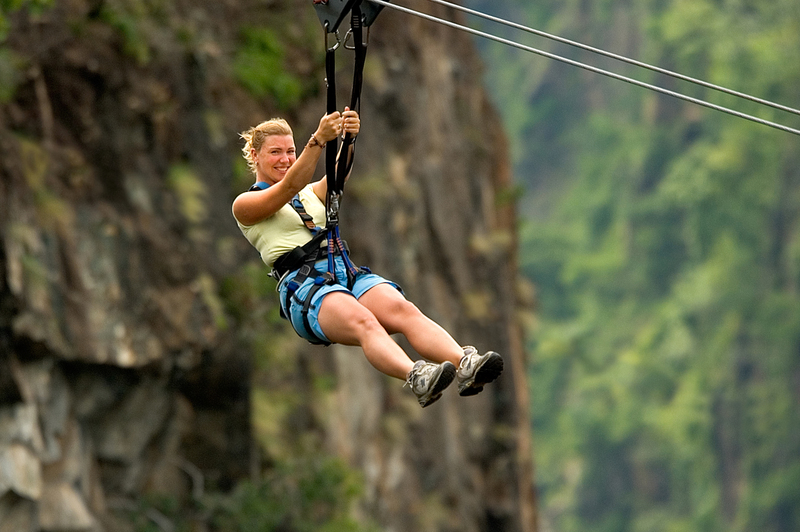 Flying Fox: You get clipped into a harness that is attached to a pulley which then glides along an almost horizontal cable across the gorge, 125m above the canyon floor. This gives you the sensation of flying. It looks tame in comparison to the Zip Line and Gorge swing, but this is still a thrilling experience. The Zip Line: This is similar to the Flying Fox but here the cable is not horizontal it is at a steep angle so once you let go you accelerate down-hill at speeds of over 100km/h. It is extremely exhilarating and can be done singly or in tandem. It is twice the distance as the flying fox. Gorge Swing: Leave your stomach behind, this is only for the totally insane. Your harness is attached to a rope, the rope is attached to the middle of a cable that runs across the full width of the gorge. Once you are all set, you stand on a platform on the edge of a sheer 120m cliff, say a quick prayer and jump off – how crazy is that? 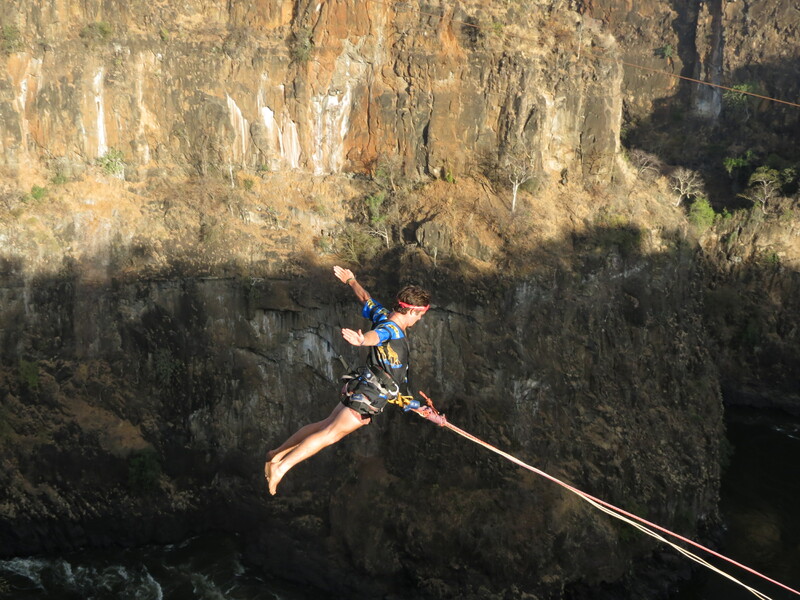 You jump off and free-fall for about 70m straight towards the river below, then as the rope becomes taut you start to swing away from the ravine you were hurtling towards, fractions of a second ago. You then swing in a gentle arc giving you time to appreciate both the beauty of the scenery and the adrenaline rush.